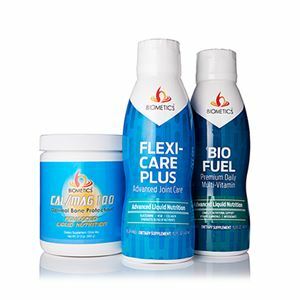 BIO FUEL, CAL/MAG 100, FLEXI-CARE PLUS Every component works synergistically to provide a natural solution for healthy joint and mobility maintenance. 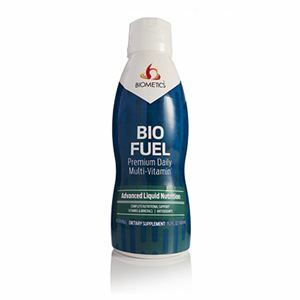 BIO FUEL and FLEXI-CARE PLUS establish a firm foundation of nutritional support for all levels of flexibility and mobility. 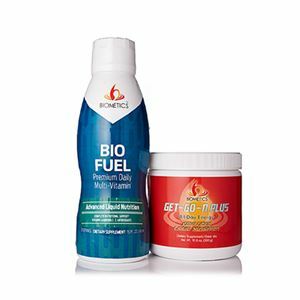 This program also contains CAL/MAG 100 to support bone strength with 100 percent of the US Daily Values of Calcium, Magnesium, and Zinc in a form that is completely absorbed by the body. * *These statements have not been evaluated by the Food and Drug Administration. This product is not intended to diagnose, treat, cure, or prevent any disease.